Tim Thomas has logged many miles throughout his career, more than any Vezina winning goalie should. Just look at the above map and you'll see he's a well-travelled man. 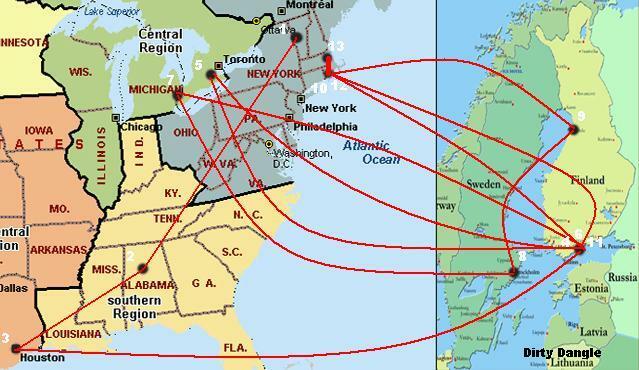 By looking at him you might think he's trying to sell you a vacuum or car insurance, but he was touching down in all these cities to play hockey. His resume reads 4 countries, 8 leagues, 11 teams, and 1 amazing story. 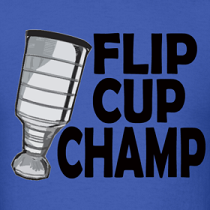 A native of Flint, Michigan, Thomas never played higher than high school hockey due to financial constraints. In fact, in order to pay for tournaments, his parents had to sell their wedding rings - just brutal. After high school, Thomas would play Junior A before attending the University of Vermont for four years. At Vermont - where he was teammates with Martin St. Louis - he would be drafted late in the 1994 NHL Entry Draft at 217th overall by the Quebec Nordiques. After enjoying individual and team success at Vermont, Thomas would make stops in Birmingham, Alabama with the Bulls of the East Cost Hockey League and in Houston, Texas with the Aeros of the International Hockey League. Thomas would then make his first jump across the pond to join his 4th team that year, HIFK Helsinki, in the Finnish SM-Liiga. With Helsinki, Thomas would play on a championship team with Olli Jokinen, Brian Rafalski, Kimmo Timonen, Jarkko Ruutuu, and even Michigan high-wrap specialist, Mike Legg. After that first season in Finland, Thomas would sign a contract with the Edmonton Oilers and join the Hamilton Bulldogs of the American Hockey League. After a few games in Hamilton, Thomas would go across the pond and join HIFK Helsinki again for a championship run that would fall short after losing the league final. In case you're not keeping track, that's 5 teams in 3 years and climbing as Thomas would return to North America once again to play for the Detroit Vipers of the International Hockey League. After a brutal season with the Vipers where he put up some of the worst numbers in his career, Thomas would cross the pond yet again, but this time to Sweden to join AIK of the Swedish Elite League. Thomas wouldn't go deep into the playoffs with AIK, but his .925 SV% got him some notice and he would sign with the Boston Bruins that summer, joining his 2nd NHL organization without ever playing an NHL game. That time would wait another year as Thomas would return to Finland's SM-Liiga with Karpat and have one of his better seasons in Europe thus far. The team wouldn't make a strong playoff run, and this would be Thomas' last intended European season as he would join the Providence Bruins in the American Hockey League the following season and get his first taste of the NHL. As a Baby Bruin, Thomas held his own and even got his first NHL start on October 19, 2002 against the Edmonton Oilers, which he won 4-3 with 31 saves. He would play 3 more NHL games that year and finish his season with Providence going 18-12-5. The following year with the Baby Bruins, Thomas would simply shine. In 43 games, he would post a 1.84 GAA, a .941 SV% and 9 shutouts. With Andrew Raycroft winning the Calder Trophy that year and Thomas posting those numbers, the Bruins goaltending was looking very good until the NHL lockout. 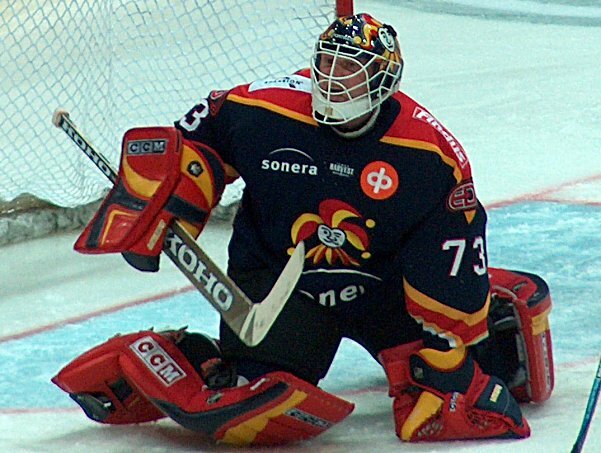 With no NHL in 2004-05, Thomas opted to return to Finland for the 4th time in his career and topped his previous season's numbers in the AHL with Jokerit of the SM-Liiga. Playing in all but one of the regular season games, Thomas earned a 1.58 GAA, a .946 SV%, and set an SM-Liiga shutout record with 15 in a season. Despite losing in the finals, Thomas took home awards as the league's top player and the league's top player as voted by the players. Thomas would return to Providence the following season, but thanks to injuries to Raycroft and Hannu Toivonen with the big club, he would play more games in the NHL than AHL that year. While his numbers weren't that impressive, he stepped in when needed and earned the Bruins 7th Player Award as voted by the fans for going beyond expectations. Clearly the Boston faithful were starting to believe in Timmy, but unfortunately he would still be considered a backup the following season. Toivonen would struggle early so Thomas was promoted to starter on a sluggish Bruins team. Thomas would put up the worst numbers in his NHL career, and Boston would finish last in the Northeast Division for the second consecutive year. Manny Fernandez would be brought in the following season expected to be the starter, but once again thanks to injury, Thomas would get another chance to prove himself and would not disappoint. Appearing in 57 games, Thomas would earn himself a spot in the 2008 All-Star Game as a replacement for Martin Brodeur, a long way from the East Coast Hockey League. The rest is pretty self explanatory as he's established himself as a top goaltender in the NHL with Boston and one of the most exciting players to watch in all of hockey with his road-hockey-goalie-style of play. His trophy case is filled just as much as his passport is stamped: winner of the William M. Jennings Trophy, two time Vezina Trophy winner, two time Roger Crozier Saving Grace Award winner, Olympic Silver Medallist, Conn Smythe Trophy winner, and of course, Stanley Cup Champion. For a goalie who came out of nowhere, he's done pretty well for himself and remains a fan favourite with his humbleness and charisma. I was trying to think of his style and just thought of Hasek, but I think road hockey goalie is best! It's hard to find a more likable guy in the league. He's always smiling and happy, and I love the way he battles (although unorthadox) to keep the puck out of the net! 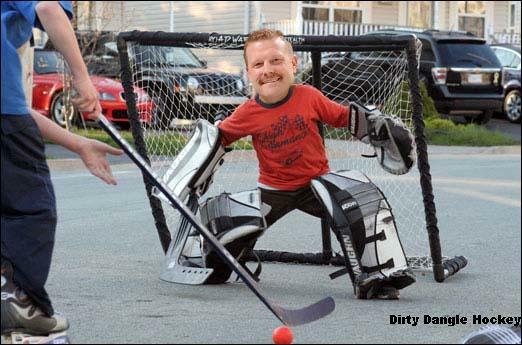 Tim Thomas is Awesome> . Hate to say it but I think Tim Thomas is really overrated. He plays on a great team, which means he will have great stats. Everytime I watch him play it seems like he gets lucky. There are much better goalies in the NHL right now. two time Vezina Trophy winner and he is overrated? Let me guess you think James Reimer is the real deal then?